Understanding how to leverage Apache Spark from Scala is becoming essential for data engineers, architects, and data scientists. But, what if you are new to Scala? If you are new to Scala, this course will teach you to become productive and confident in Scala. The course focus is Scala relevant for Apache Spark. Nothing more. It doesn’t slow you down with learning all the details and options in Scala. Just provide the important Scala you need to know for Spark. This course demonstrates through hands-on examples as well as prepare and configure your own development environment in the free IntelliJ Community Edition. 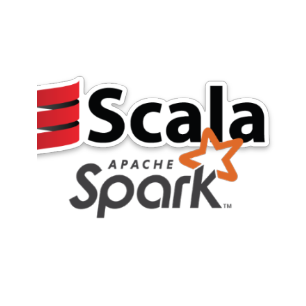 In this “Scala for Spark” course, you will be taught the core Scala principles needed to build your confidence and become both productive and valuable. This course will guide you through a wide range of hands-on Scala source code and how it relates to Apache Spark concepts. This is the only course designed specifically what you need to know in Scala in order to be productive with Apache Spark. This course will teach you how to configure SBT and SBT plugins to make packaging and deploying Scala applications to Spark easier and more efficient. As an added bonus, the course also includes hands-on examples of configuring the free Community Edition of IntelliJ which is one of the most popular IDEs for Scala development. This is one of my most requested tutorials. All of the source code is available for download, so you can run and modify for yourself. This can save you a tremendous amount of time over reading a book or finding tutorials on the Internet. I guarantee this course will make you more knowledgeable and productive with Scala for Apache Spark or your money back. Save your time and learn from an experienced Scala and Spark engineer.